Presenting an exegesis of certain key passages in the New Testament, Agamben examines the philology and philosophy at the root of the Church and of its earthly reign. With its examinations of the foundational texts of the Church, which are also the foundational texts of our modern idea of economy, The Church and the Kingdom reveals significant connections and parallel ideologies which are imperative to understanding the current global situation. 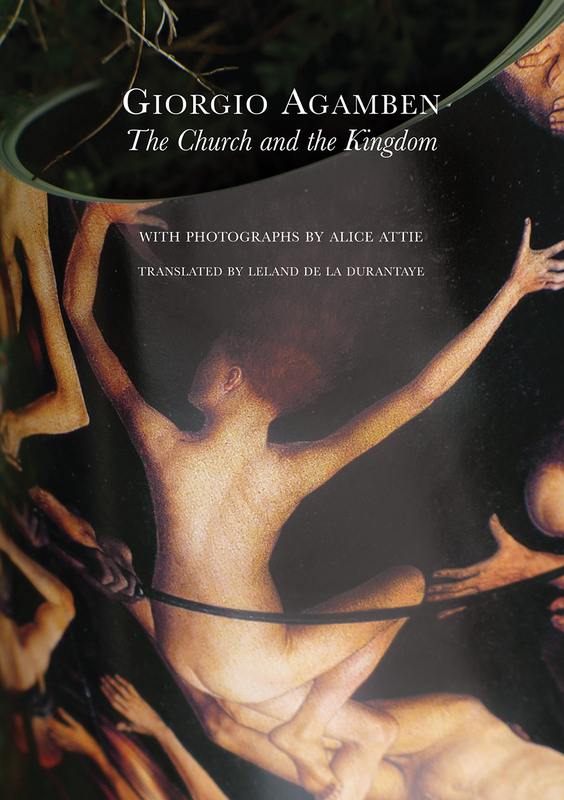 This edition of Agamben’s text is accompanied by photographs by artist Alice Attie. Made from folded and twisted reproductions of paintings culled from Christian iconography, these works of art evoke the restless challenge that well-characterizes Agamben’s four decades of philosophy and critique. This book will be welcomed by Agamben’s many readers across the disciplines.